Free Isaiah Rider! Facebook Event page. There will be a court hearing in Chicago regarding the case of an 18 year old Missouri resident. Even though he is now an adult, Cook County DCFS, their child protective system, still retains control of his life. 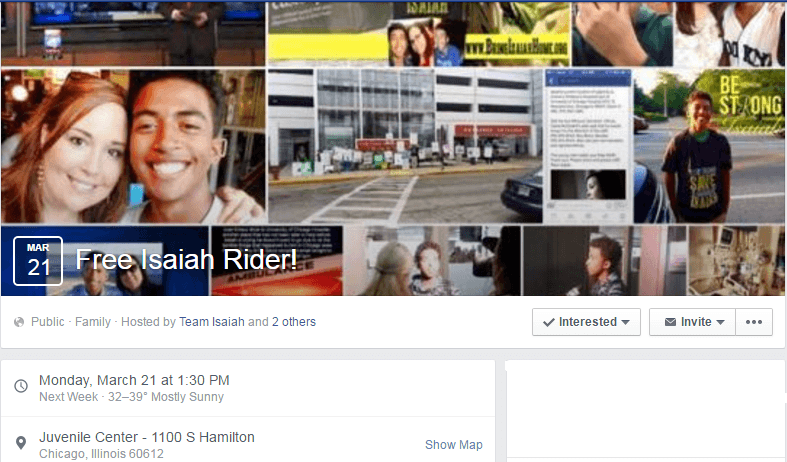 Supporters are calling for Illinois to “Free Isaiah Rider! ” They invite the press and supporters to attend the hearing, which takes place on Monday, March 21, 2016, at 1:30pm, at 1100 S Hamilton, Chicago, Illinois, at the Juvenile Court in the courtroom of Judge Nicholas Geanopoulos. They won’t let the public in, but they can’t keep the media out!!! 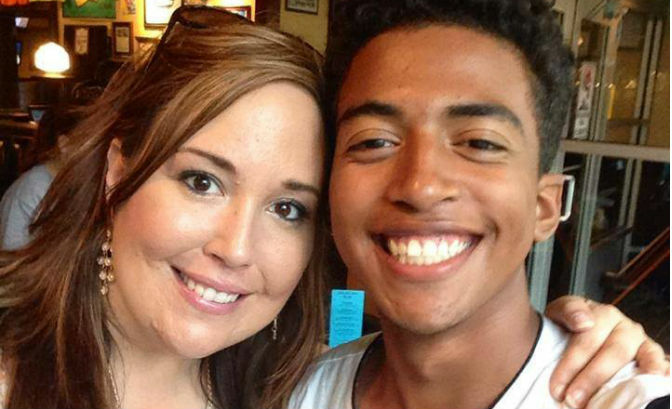 Supporters have been very frustrated with the fact that Isaiah Rider is now an adult, but the Illinois DCFS will not free him to live his life. Isaiah himself has pleaded, to no avail, for the system to let him go. He wants to be able to live his life without their interference. Michelle and Isaiah Rider. Source: Team Isaiah Facebook page . Health Impact News spoke with the family recently and learned that Isaiah is currently experiencing nightmares about his time spent in a Chicago foster home. He was held at gunpoint and raped while in Illinois custody, yet to date, nothing has been done about the crimes committed against him under the guise of “protecting” him. Those events continue to haunt his dreams. Twenty-three months and two days ago a nightmare started for Isaiah and his family that most people cannot even imagine or fathom. It shouldn’t have even happened for a single day. Their journey started way before that even. 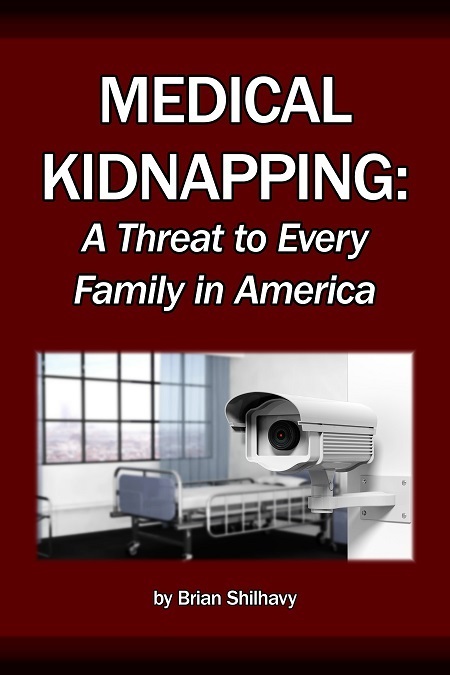 Their nightmare started 4/15/2014 while they were in Chicago seeking medical help for Isaiah. We are sharing this due to the upcoming court date that is to take place in Chicago this Monday 3/21/16 at 1:30pm at the Cook County Juvenile court. 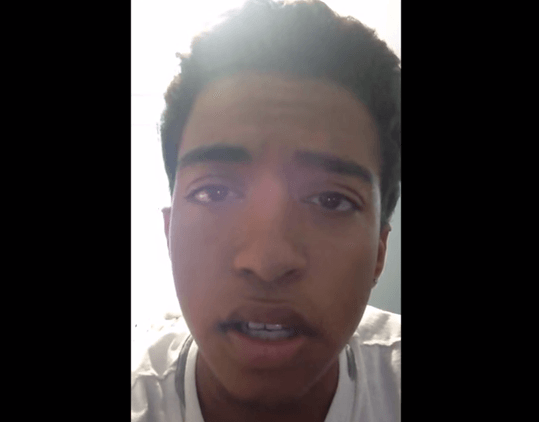 Isaiah is an adult and a citizen of a completely different state, the state of Missouri. The State of Illinois has tortured this Missouri family for almost TWO years now and has caused significant harm and grief that was not warranted or needed. Justice needs to be brought forth for Isaiah and his family. We now have an adult man whose constitutional rights have been and continue to be violated. Isaiah – “Please stop controlling me.” Source – Team Isaiah Facebook page . They do not feel safe given the circumstances, as well as threats that have been made in the recent past to bring Isaiah back to Chicago against his will. As some may remember Isaiah was brought back to Chicago once already against his will while he was ill which caused him further trauma. This is the same city where he was horrifically assaulted while he was placed in foster care in a crime ridden area…. against his will. No justice has been brought to that situation or the perpetrator who harmed Isaiah. Isaiah and his mom will have counsel there representing them and welcome anyone who is able to attend. Our journey didn’t start two years ago, it started in 2003 when Isaiah broke his leg. We spent nine years trying to get it healed. Nine years of trusting his doctors. Nine years of surgery after surgery basically his whole childhood from age 6-15 at least a surgery a year to his leg trying to get it healed. He spent most of his childhood in casts to his leg. I remember for over a year I could not bathe him in a tub normally, no submersing in water. We had to do sponge baths. Walkers, baby tiny walkers with spongebob squarepants stickers plastered all over , wheelchairs, casts, full leg braces… those were all a norm in our home. Isaiah always had a cast on his leg. Many pictures from the holidays, get togethers, he always had a different color cast to his leg. He had every color they made I’m quite sure. We trusted the doctors who told us this was necessary and it would help him. It never did. 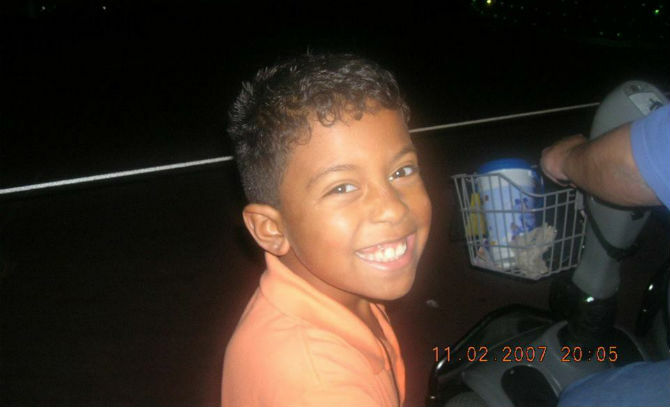 Isaiah as a little boy. Source: Team Isaiah Facebook page . They told us in 2011 they couldn’t do anymore and he would need to have his leg amputated. BUT they promised this would SOLVE all! This would be the answer! We trusted them again! 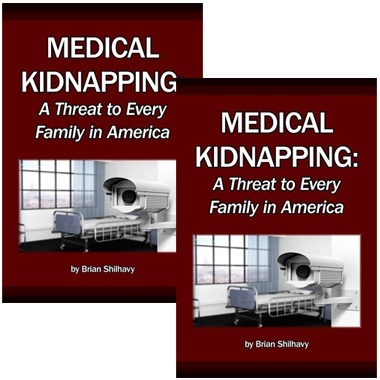 No more surgeries, no more hospital stays, life would be normal… We trusted them! It was the exact opposite. Isaiah immediately developed complications after part of his leg was taken, complications the doctors had never seen before. Complications they didn’t know how to stop. The doctors didn’t know what to do. This was NOT what we were told or expected. On top of all that, they never ceased. Isaiah still has those complications today. My son has suffered horribly. As if all of this wasn’t enough, in the process of trying to get him HELP by something that was caused by doctors whom we trusted and told us that it would HELP him, they take my son when I asked for different HELP. They take my son away who was in the ICU suffering in horrible pain. In Chicago Illinois, a city and state we don’t even reside in or have any ties there. They threw him into harms way into foster care in a crime ridden area where he was horrifically assaulted. We were only there for a surgery to remove tumors! We were there so he could get medical care and HELP. They said they could help him. 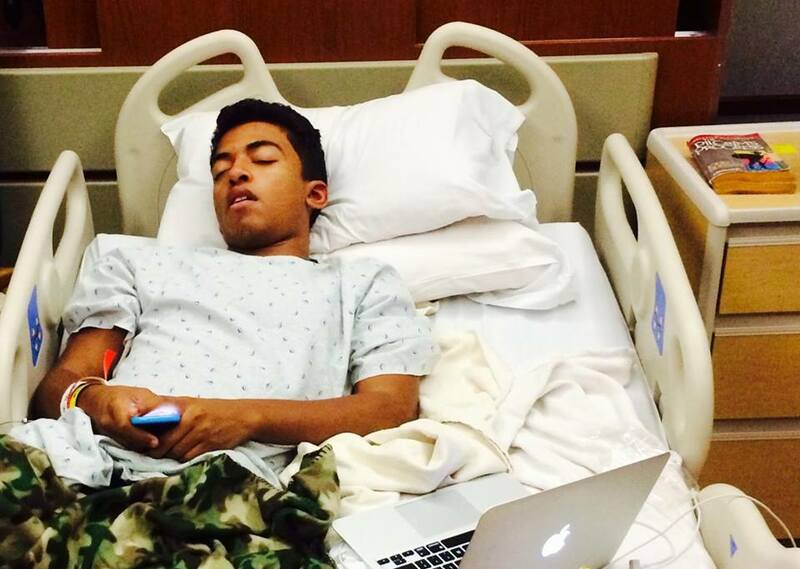 Isaiah in the hospital. Source: Team Isaiah Facebook page . Three days before they took my son, my brother was taken from this earth. Within 3 days I lost two very important people in my life. The ultimate betrayal, I was persecuted horribly, shamed, blamed, shunned by some, accused of wrong doing. Then grouped together with the child abusers, those who cause harm to their children… For trying to help my son and being a mother, suddenly I was being persecuted? I have spent the last two years fighting for my son, fighting a system and people all of whom we trusted. I thought we had a justice system that would help… It has been one disappointment, one disaster and one nightmare after another. Our journey didn’t start two years ago; it started 13 years ago. Our nightmare started two years ago. It is unbelievable that on top of the heavy burdens we already carried with Isaiahs health alone that any medical professionals, any court, any judge or any human being knowing full well the truth could do this to any child, now adult, any mother fighting for her son and advocating for his life and care, any family unit or any other human being who is innocent. They know full well the truth. They KNOW the hell we have already been through. People ask me how I continue on and the only answer I have is by the grace of God. Knowing his promises and believing them. I don’t understand this, my brain cannot process this. It was not meant to. God understands though and his purpose is greater than the harm that has been intended and inflicted upon us. He will use the pain and harm that was intended and turn it around for HIS glory, purpose and honor. That is how I get through this, that is how I continue on.